2. Tell us why it is special to you and why you wish to donate it. 3. 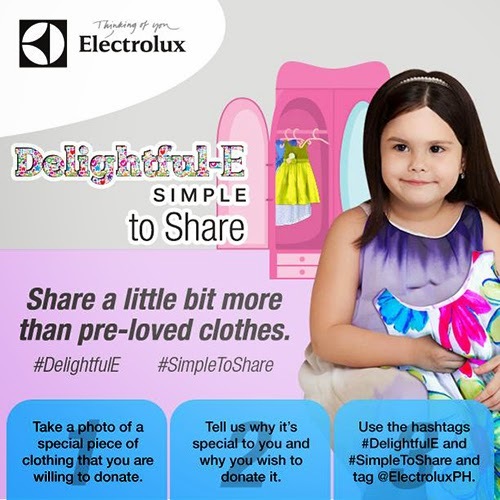 Use the hashtags #DelightfulE and #SimpleToShare and tag @ElectroluxPH. The Delightful-E Simple to Share contest will run from August 1 to September 30, 2014.